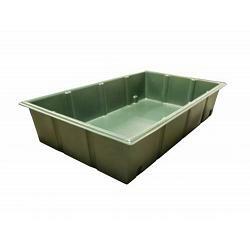 The Poly-Mart 200 Gallon Aquaponics Grow Bed is a rotationally molded and available in 11 different colors. Aquaponics is a system of aquaculture in which the waste produced by farmed fish or other aquatic animals supplies nutrients for plants grown hydroponically, which in turn purifies the water to be sent back to the fish. The scientific name for this process is called the Nitrogen cycle. Your Grow bed is essentially a Bio-Filter. Aquaponics Grow Beds are the foundation and backbone of your Aquaponics System. Your Grow Bed is the place where your fruits and vegetables are grown and nurtured. An Aquaponics Grow Bed will take up the majority of the space in your growing operation but it will also provide you with the the majority of the food that your system produces. Poly-Mart manufactures Deep Media Aquaponics Grow Beds with FDA/NSF Approved, BPA-Free, Food Grade High Density Polyethylene with built-in UV inhibitors to avoid color fading and break-down from the harsh sunlight. The 18.25" Height of the Grow Bed allows for optimal root expansion a very wide variety of plants to be grown. Our Aquaponics grow Beds come standard without any fittings installed for optimal customization. 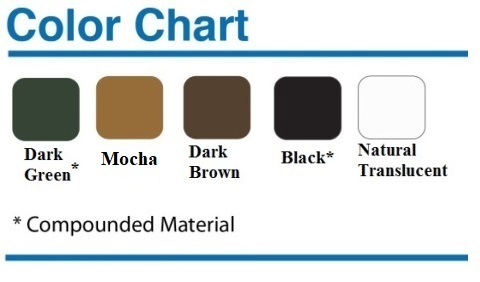 Available in 11 colors for aesthetics if ordered in even number quantities! Available in Black in quantites of (1). All colors available in even number quantities.